Tired of hearing Git Gud? Here's some help! His run'n'gun technique can be heartshaving. But if you keep in a steady, mid range orbit, you won't get hit by his bullet spray or his body. If he shoots a charged shot at you, simply run towards it until right when it explodes on a wall, dodge roll. You can just walk dodge his spread shot. Finally, when he starts to hack up missiles, keep your eyes on the character and just avoid the missiles and shoot in his direction (since he stands still). If you haven't gotten past the first floor yet, you would have probably died against these guys a few times. 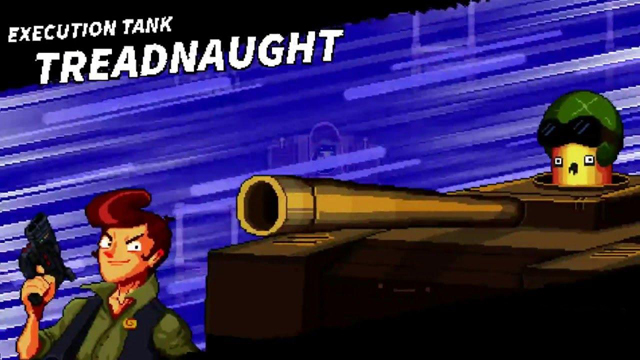 When you first begin the battle, Smiley will probably start spraying bullets at you, just walk around the bend and you may have to dodge roll at the end of it. While Shades is usually just pulsing a shotgun wave at you. I would kill Shades first and blast his glasses off. Both can stomp an eight way bullet at you so KEEP YOUR DISTANCE. 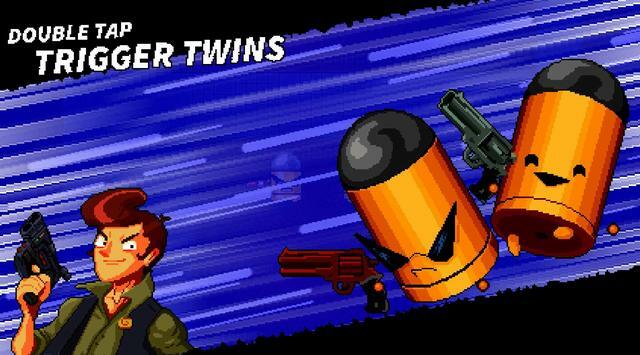 I would never walk between them unless they totally trap you, because Smiley can sing and spawn a pair of bullet kin. Kill the kin fast! After you kill one twin, the other will rage and try to revenge him, still, it's better than keeping up with both of them. Kill Smiley and wipe that smug grin off his face. First off, shoot the squire twice just so he can make room. 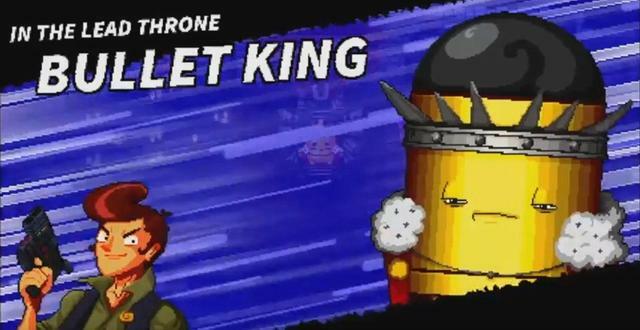 Now, when Bullet King pounds both his fists, a ring of bullets comes from his throne made of guns. Just dodge roll over it. Be careful on distance because he can do a sextuple Noppy shot towards you, walk dodge the first three and dodge roll around him. He can do multiple shots in one attack, if that happens get as far away as possible from him and pretty much just dodge roll walk to a less compacted area of the room. He can do a bullet spray when he spins his chair, just walk back and forth (horizontal from the attack explode) until the attack ends. And don't stop looking at your character until the attack COMPLETELY ends. 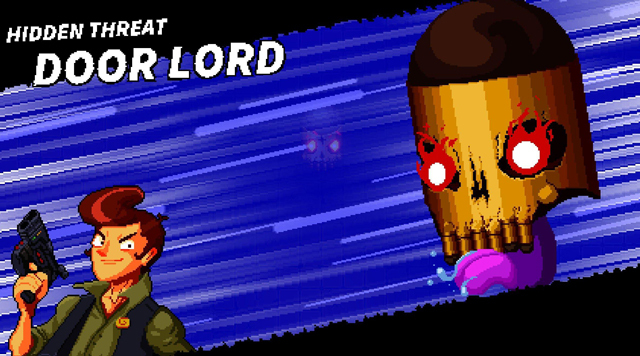 He can also do an explosion from the top gun of his throne, don't get above him since the bullets are not in 3d, and try to get as far away as possible and only walk dodge this one. 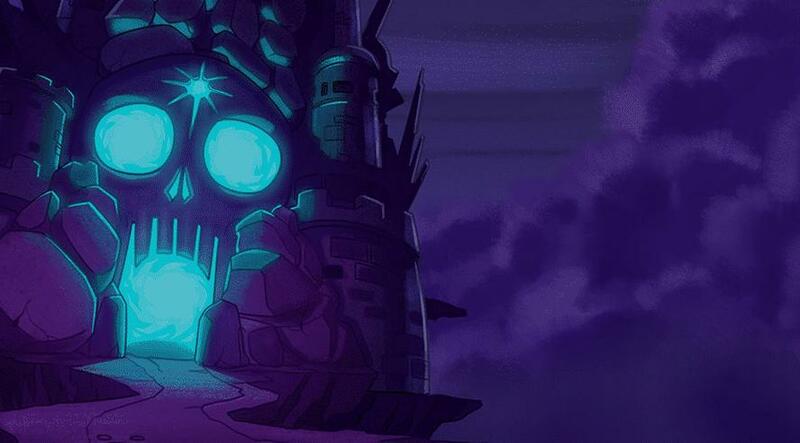 When you first walk in, try to clear as many statues as possible. She will start to dive after you. If she does a ripple of stone, dodge roll over it. She can make a maze of bullets with a screech attack. Get as close as you can and follow the opened spaces, because the bullets will start to link together in the back. Never dodge roll on this attack either. She can do a bullet spray similar to Bullet King's, just move back and forth, weaving through the bullets. Last, she can do a double hose bullet spread with her guns. Run around until you have to dodge roll through them when they link. Repeat that move again. The Ammoconda is pretty easy once you get to know it's patterns. 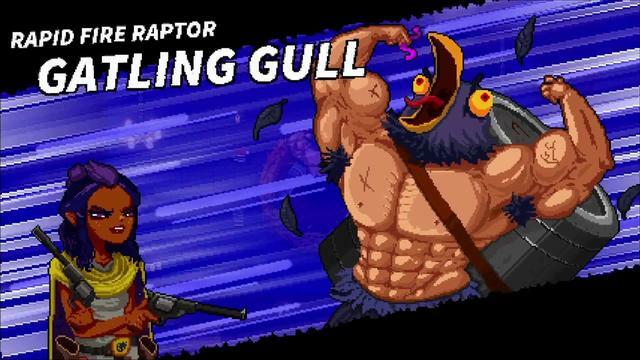 First thing I realized, the head will just keep trying to hose you down (similar to Gatling Gull). It's the body you have to keep an eye on. You are able to kill the body, but I wouldn't. I would just focus on the head and turn it into swiss cheese. It can summon an extra segment at 4 corners of the room (much like the snake game). 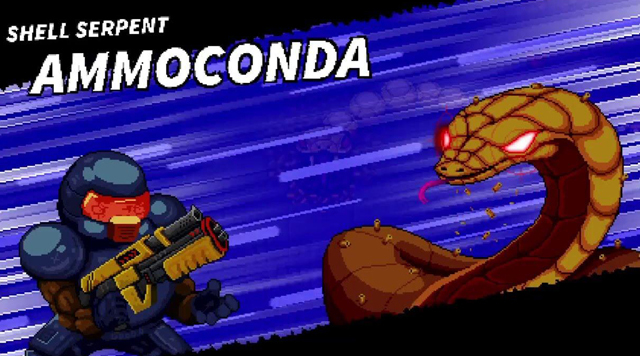 I know it looks taunting and shoots at you, but by the time you kill it, Ammoconda would have spawned another one or turned you into swiss cheese. Just deal with the boosted stats while it is doing it's "snake game" segment bullets, some will bend, just run and keep shooting Ammoconda until you absolutely have to jump over them. And the last move is summoning snake-shaped bullets that slither towards you. Do the same as before. This is my most difficult boss. 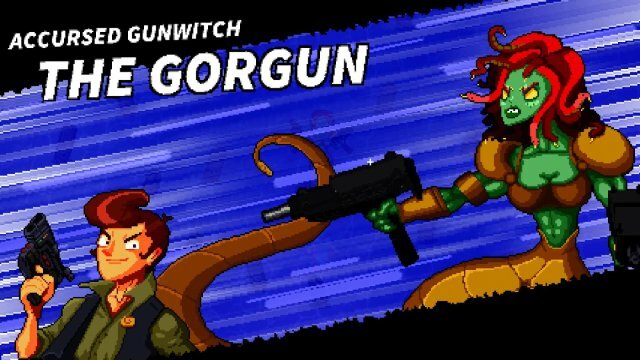 Its actual gun shots are easy to dodge, but it can summon enemies and rockets that can throw off your groove. Its friends are dealt with like Ammoconda's, just ignore them and keep an eye out for them. It never spawns more than 2 at a time, so you will be fine. Its laser sweeps help you more than they hurt. Because they can DESTROY MISSILES AND BEADIES! Use this to your advantage. Finally, this is the part that gets me. For you to throw its missiles practically out the window, is to let them chase you down, then deflect and shoot them once when they push you around. I wouldn't recommend focusing on the missiles more than your character. Sorry, there really is no technique. You got ta git gud boi! He can do a double eye round spray of bullets around the screen. It's a bit of a prayer, but walk between the first round, then dodge roll through the second round. If he starts to do a Metaknight final smash move, look for his eyes in the dark and dodge roll towards them. You will see why. And his 3rd move is just bouncing around walls while rolling. Keep a distance from him and dodge roll when the bullets are about to be in your way. He might start the battle off by throwing out mines everywhere. Try to avoid them and keep shooting at him (this is the best time for you to attack). If you happen to come in range of a mine, DODGE ROLL IMMEDIATELY and get out of there SpongeBob! He can also turn into a bunch of smaller bells that make you have to attack the real one. Stay near the wall and shoot at all of them. Chances are that they will punish you with a ring of bullets (like a sound wave), if this happens, just roll up against the wall and keep shooting. 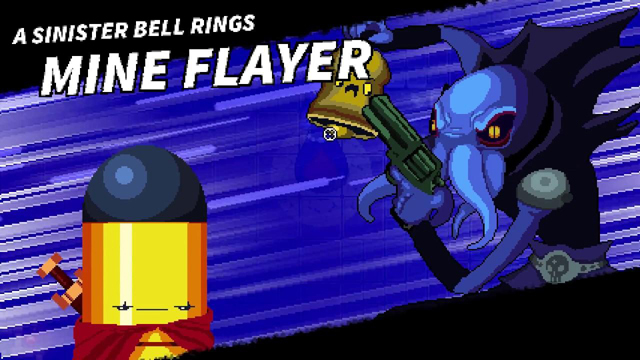 He can also ring/shoot the bell to make multiple sound waves of bullets. It is pretty easy to dodge, so roll up against the wall when they get near you. Best way to start off the battle, is to Spaceman Sparkles it and run through the maze while shooting at him. 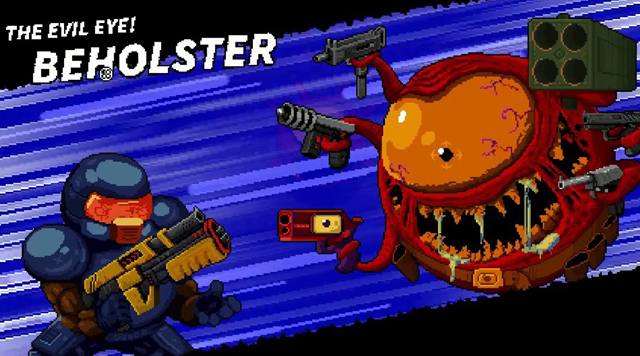 He can shoot missiles, summon enemies, and of course, fill the screen in bullets. Just do the Ammoconda strategy and run'n'gun, and dodge roll when a bullet is about to pierce you. Just watch out for his friends and his explosive Bullet King bullet attack. Pretty easy when you get in da groove. Since Wallmonger is constantly shooting bullets, I always keep moving. 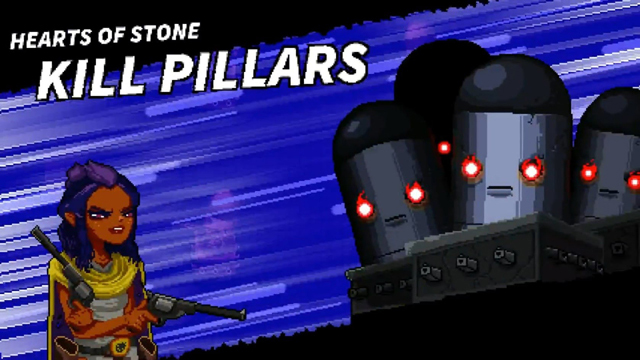 While the wall of decaying bullet kin shoots bullets TOWARDS you, the wall's eyes make mazes of bullets AROUND you. Never stay in the middle in front of his face, because he can melt you down with a path of fire. Keep shooting at him while on a chosen side, and walk dodge the bullets following you, and dodge roll through the static bullets. NEVER change sides at all. You can make almost every single jump except one, the lined up bullets. Like I said, just keep moving, and you will be fine for that. 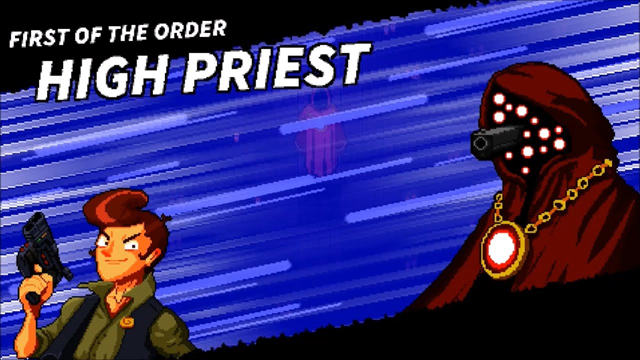 High Priest is a hard boss for a lot of folks, and I say it is time to stand up and fight...that gun. That is why I didn't make this guide until I beat him at least twice. 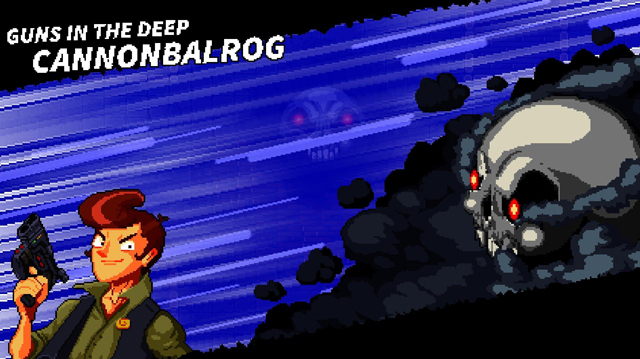 The first thing that he will do is spew bullets from his hands like Cannonbalrog's eyes. Get into a corner ASAP and walk dodge the sprays. DON'T dodge roll unless you totally have to. 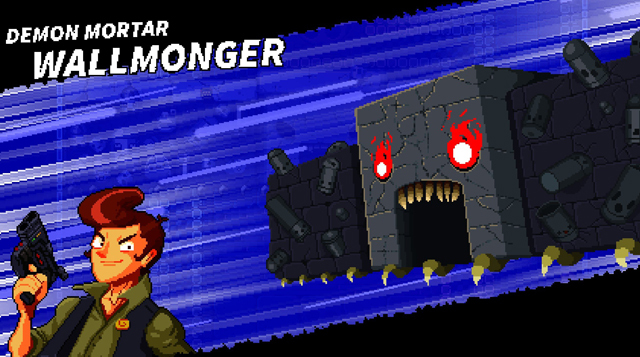 Get ready to dodge roll through a fast transition of attacks, as he does two waves of triangular bullets towards you. Dodge roll right when you see the second wave appear, and run into the other corner fast! He will make an easily dodge roll-able circle of bullets from his hands. After that, hurry and run to the top, and GET OUT OF THE CORNERS. He will then make the screen dark and shoot spread shot waves in the corners. Dodge roll through them and run back into a bottom corner after the room lights up again. He will then take off his hood and shoot a heat seeking blast at you. Dodge roll through the blast going in the OPPOSITE direction than the blast. This is the common mistake people make (instead, they roll through it in a random direction, and it curves back and hits them right then). Finally, he will surround himself in bullets, and shoot heat seeking skulls at the player. Start spraying bullets in his direction and watch out for his last blast. The first thing they do is a pinwheel of bullets, so get in the center of the screen. Walk dodge the rotating (+) and dodge roll over their stomp wave. Then, run like heck around the screen after they finish, because they will start to crush you. They will also do Noppy shots, starting from their 3rd stomp, so dodge roll when they stomp near you. It will get harder from then on, but just keep calm and keep doing the same thing.